President Donald Trump on Thursday said Treasury Secretary Steve Mnuchin's remarks on the dollar were "taken out of context." On Wednesday, Mnuchin said a weaker dollar was good for US trade. Trump told CNBC: "The dollar is going to get stronger and stronger, and ultimately I want to see a strong dollar." 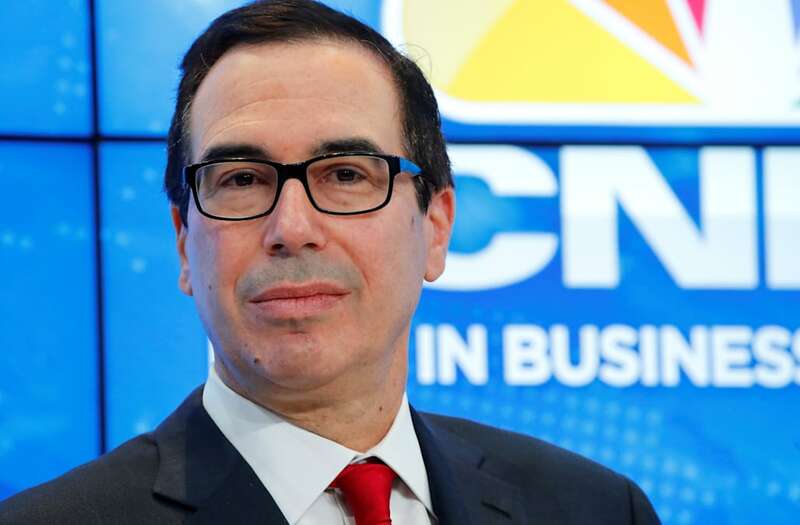 President Donald Trump said Thursday that earlier comments by Treasury Secretary Steven Mnuchin on the dollar were "taken out of context." On Wednesday, Mnuchin told reporters at the World Economic Forum in Davos that a weaker dollar is good for the US "as it relates to trade and opportunities." His comments triggered the dollar's worst sell-off in 10 months. "Our country is becoming so economically strong ... that the dollar is going to get stronger and stronger, Trump told CNBC. "And ultimately, I want to see a strong dollar." A weaker dollar cheapens American products for foreign buyers, which makes US exports more attractive. But it could also erode the US's purchasing power. 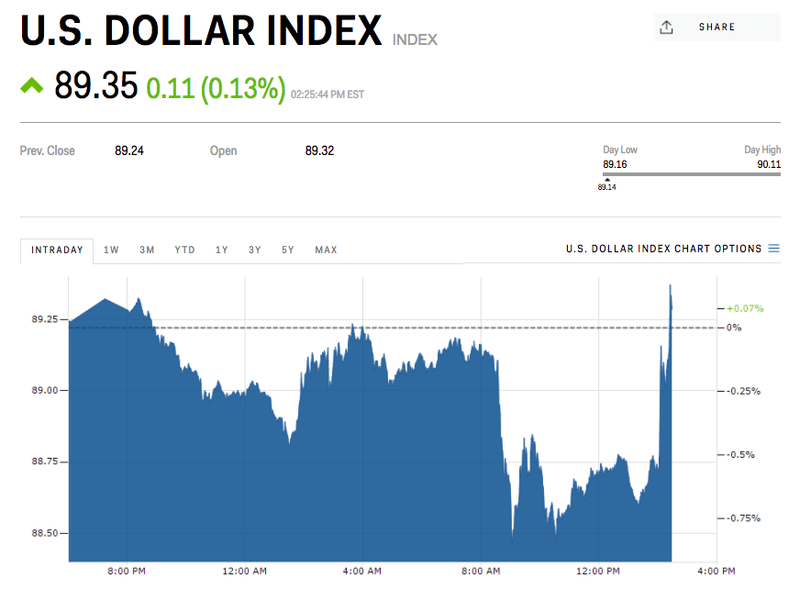 The dollar index, which tracks it against a basket of other major currencies, spiked following Trump's comments and reversed its earlier losses to as high as 89.23. The index fell deeper into a three-year low Thursday after Mnuchin's comments. Greg Valliere, the chief strategist at Horizon Investments described the comments as "the first serious economic misstep by the Trump administration." Mnuchin's comments spooked some investors because it's unusual for an administration to actively favor a weaker dollar, and some saw the White House weaponizing the currency in its trade policy.